Sphagnum moss is a specialized and intricate growing media. Because of this, processing to the highest standards is needed to ensure that the right grades of moss are used to grow and decorate the right type of plants. The processes used to turn New Zealand Sphagnum moss from a natural swamp living moss through to a beautifully cleaned planting medium is carried out through a series of steps which have been developed over the past 25+ years. Our manufacturer, Besgrow, takes 100% natural, clean, green materials and through sustainable management provides a renewable high quality Sphagnum moss resource surpassed by none. 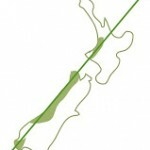 Besgrow owns, leases and manages approximately 1,000 acres of swampland in which the Sphagnum naturally grows. A harvest plan guides the amount of product harvested and sold on an annual basis. This coupled with proprietary processes and technologies which have cut regeneration time in half ensures product availability for years to come. 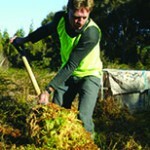 Sphagnum cristatum is the most common variety harvested in New Zealand. It has a much larger leaf and stem structure than other moss types giving it stronger and more robust properties. Moss is harvested by hand and helicoptered and trucked to the processing facility. Incoming moss is checked for species percentage and levels of contamination. Wet moss is dried naturally in large tunnel houses to ensure maximum water holding capacity (WHC) of 96%. Dried moss is passed through a series of cleaning techniques, both mechanical and manual. Sticks, prickles and fines (petals) are removed to ensure the consumer receives the cleanest, softest moss available. Graded moss is placed into fadges (fabric packs) and stored in a cool dry storage area until use. Moss fadges are removed from storage and emptied into the packing area. Moss is rechecked and random samples are taken and inspected against quality requirements. Passed Sphagnum is packed into various sized packaging via hydraulic and pneumatic presses. Packed material is stacked into shipping containers for its journey via train from the west to east coast and then on to its overseas destination.